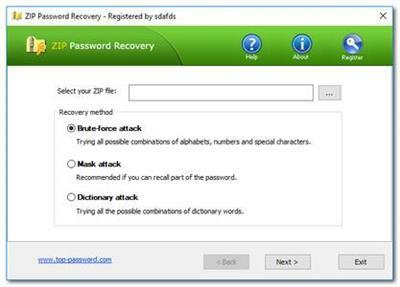 ZIP Password Recovery is an advanced WinZip password cracker utility to recover any lost password of your important ZIP archive created with WinZip, WinRAR, PKZip or any other ZIP-compatible software. The simple and intuitive interface makes the software easily operable. Simply select your ZIP file and wait for a few minutes while your Password (If need) recovered. Unlock any password-protected archive no matter what compression and encryption algorithm is used.